Tharoor said ‘like most Hindus, it would be wonderful to have a temple where Ram was born, but no good Hindu would want that at the expense of the demolition of someone else’s place of worship’. Congress leader Shashi Tharoor has sparked a controversy with his remarks against the construction of Ram temple at the disputed land in Ayodhya. 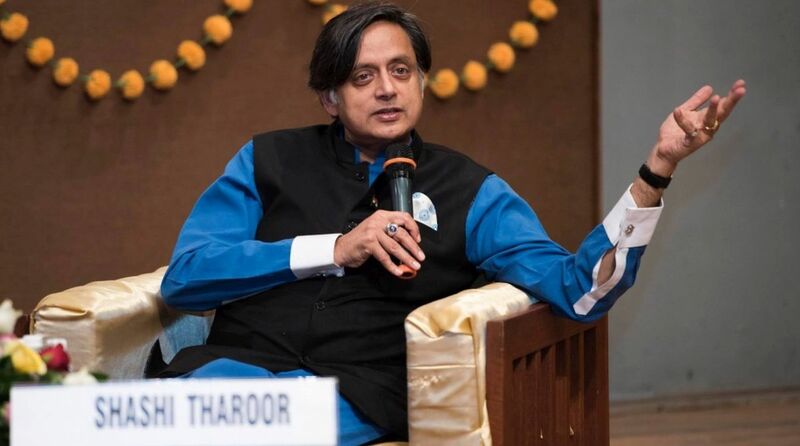 Tharoor made the statement on Saturday while speaking on the second day of the Khushwant Singh Literature Festival in Kasauli during his session titled ‘Tharoorism’s on Hinduism’. On being asked about the possible construction of Ram temple before the 2019 Lok Sabha elections, he said the matter was sub-judice. However, he added that “like most Hindus, it would be wonderful to have a temple where Ram was born, but no good Hindu would want that at the expense of the demolition of someone else’s place of worship”. However, Tharoor faced flak from the opposition for his comment. BJP MP Subramanian Swamy too reacted to Tharoor’s comment and called him “neech aadmi”. “There is a charge-sheet against him, what can we say on the statement of such a person. Woh neech aadmi hai,” Swamy told news agency ANI. Responding to the attacks by the opposition, Tharoor accused media of “distorting” his words. “I condemn the malicious distortion of my words by some media in the service of political masters. I said: “most Hindus would want a temple at what they believe to be Ram’s birthplace. But no good Hindu would want it to be built by destroying another’s place of worship,” he tweeted. Tharoor further said he was not a spokesperson for the Congress party and neither did he claim to be speaking for his party, adding that he had answered to a personal opinion. Tharoor in his speech at the Lit Fest took a dig at the ruling BJP saying the BJP government had served the nation poorly by imposing demonetisation, Goods and Services Tax, inflated fuel prices, stagnation of agriculture and rising farmer suicides. He also highlighted the issue of cow vigilantism in the country.